Furniture companies are opening their own hotels, luggage companies are publishing their own magazines, and sneaker companies are starting their own bars. Celebrities left and right are creating ecommerce sites selling clothes or home goods or both. Meanwhile, every time you refresh Instagram another lifestyle blog now has products for sale. And they can’t all be lifestyle brands, even though that’s how they are being categorized. Can they? We’re going to figure that out, because it’s time to develop a stricter working definition of the term “Lifestyle Brand.” As we work through what that definition is, we’ll place ourselves in the imaginary board room of a fictitious hotel chain, Rose Garden Hotel & Suites, as they craft their plan to transition from a mere hotel chain to… (drum roll please)… a lifestyle brand. It’s important to develop a clear understanding of what a lifestyle brand really is because, based on the wide array of products and services being marketed as lifestyle offerings in 2019, a company like Rose Garden Hotel & Suites looking to make this transition could start out with a cohesive plan and end up way out in left-field developing plushier bedroom slippers and a sub-branded e-commerce site selling mail order produce from their locations. We’re actually kind of into that last idea, but to make sure we stay focused we’re going to outline some Lifestyle Brand Commandments. Without further ado, let’s get to it. While this might sound obvious, most brands will struggle with a shift in messaging like this. There will always be pushback when the suggestion is made to focus less on the products that a company sells and talk more about what inspires and motivates consumers in a broader sense. But a lifestyle brand needs to communicate with its customers when they are buying a product or service and when they are not buying a product or a service. Let’s check in with the team at Rose Garden, who are in a meeting where the marketing team is walking the board through their 2 Year Plan to become a lifestyle company. Marketing Manager: “We still want to make our consumers aware of all those things when they want to buy. But what about right after they buy? The last thing we want to do is try to keep selling them once they’ve made their reservation, but we don’t want to lose them either. That’s when we can suggest things to do once they arrive, offer some information about food options in the airports they’ll have layovers in, or suggest some things to pack that they may not have thought of. As you might have gleaned from the first commandment, Rose Garden Hotel & Suites caters to a particular kind of traveler. 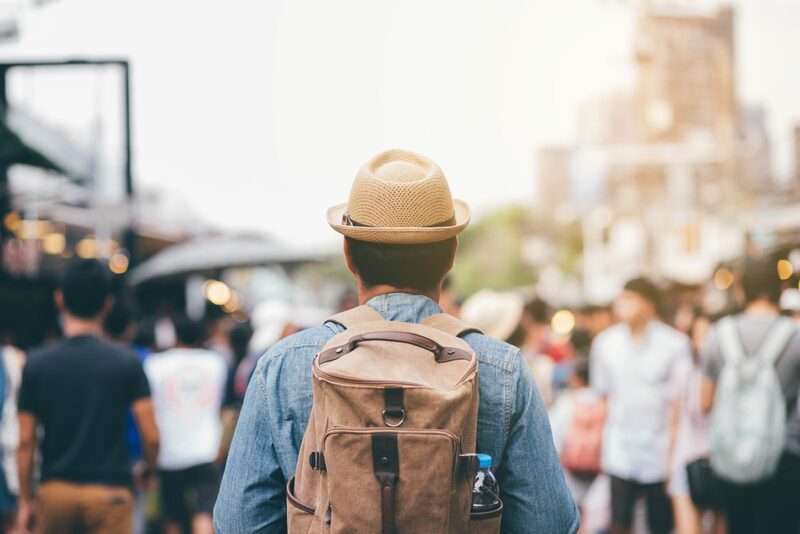 Rather than the people looking for an all-inclusive experience, they target those individuals looking to visit local restaurants, explore the back streets, and immerse themselves in a new place. Obviously, Rose Garden Hotel & Suites didn’t create this type of customer, it’s just the segment of their audience that they are focused on. This is important to remember when a brand is thinking about becoming a lifestyle brand, because the lifestyle that the brand will exemplify is not being created out of thin air. It already exists, and your customers are already living it. This is why the lifestyle brand must focus on the community that they cater to. The lifestyle brand doesn’t create a lifestyle, it reflects and amplifies one that already has a community living it. Ok, let’s assume the meeting at Rose Garden Hotel & Suites’ office has gotten more productive, and they’ve identified the community they are targeted towards and have identified how the hotel can reflect that community’s lifestyle. 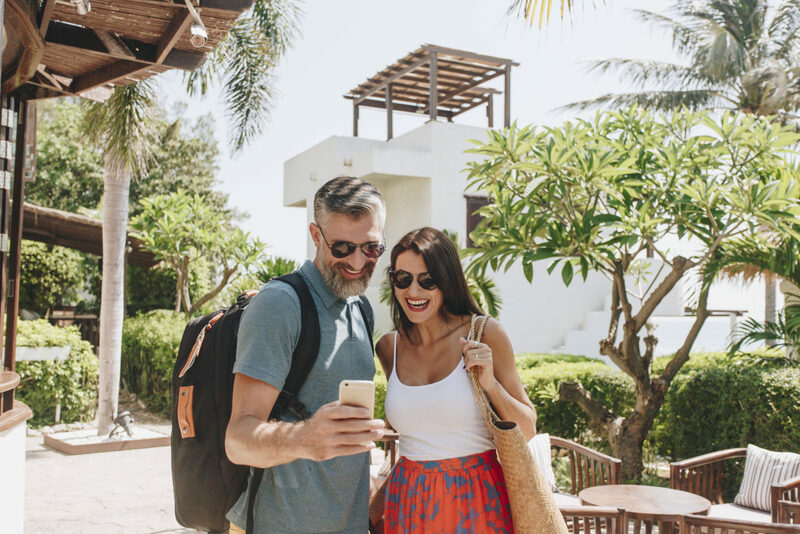 It’s not enough to stock the rooms with the right magazines, have an appropriate social media strategy, and offer a tablet with preloaded maps and experiences a guest can seek out. For Rose Garden Hotel & Suites to be a true lifestyle brand, they need to empower their community. How can a brand do this? Well, if Commandment 2 is talking the talk, this is about walking the walk. First, rather than simply being a vessel for the community to pass through, they should become an active participant in the community. Basically, be more than the hotel that people stay in when they visit a location. Whether that is elevating their food to compete with local restaurants, elevating their events to rival what’s on offer elsewhere in the destination, or providing the gear for guests to take advantage of local activities. A beach hotel chain catering to a surfing audience would have a hard time becoming a lifestyle brand without a surf shop in each of its locations, complete with board repair and rental services. And if they had free screenings of surf movies in the lobby each night? We’re ready to book our rooms! Soho House is an example of a brand that has fleshed this experience out in great detail so that it’s customers can engage with different parts of the brand at different points in time. The second aspect of this is to align with the community’s values and use the brand’s platform to stand up for the issues the community cares about. Are your customers strongly against the exploitation of local hospitality workers? Rose Garden could structure its operation differently and be transparent about who they hire, how much they earn, and what their working conditions are. Starbucks is a high profile example of this, with the higher education support they give their employees. Soho House is committed to addressing the gender pay gap, a noble goal and one that is close to home for their audience of creative professionals. The support of the community lifestyle is not a means to an end. It is an end goal in parallel with, not as a precursor of, profit. Being a lifestyle brand in the social media age has added a new commandment: be joinable. Whether it’s through purpose-driven hashtags or the brand’s aesthetic, the most engrossing lifestyle brands in 2019 will allow their potential customers to take part in their lifestyle before becoming customers. We can argue about the effect this strategy has on the bottom line in a different post, but the fact that brands that have developed joinability have captured the imagination of their audiences is inarguable. Outside of the hospitality industry, REI (epitomized in their #optoutside hashtag) and Kinfolk Magazine and their “#authentic millennial minimalism” are examples of this joinability, online and off. In terms of who Rose Garden Hotel & Suites could look to emulate, it’d be hard to do better than Ace Hotel. Geared towards young digital nomads, the Ace has rooms in major cities starting around $200 a night and the lobby typically doubles as a co-working space (for hotels guests and passers-by). You can book a room with bunk beds, or splurge (in the New York City location) the “Loft Suite” for $1,000/night, with a bunch of options in between. The Ace Hotel customer (think 26 year old digital nomad with more social media followers than dollars in their hotel budget) wants it all: an affordable room with a modern look and feel, located in a cool neighborhood, a place to work in between meetings, and some exciting ways to unwind after a long day on their laptop. Whether you’re a guest or not, the Ace delivers. Hotel bars and restaurants are on par with those around town, and typically beat the competition when it comes to interior design. High quality coffee shops, photo booths, concerts and ample table space in the lobby can be used whether you’re staying in the hotel or not. Even the wi-fi is free, as long as you provide an email address. We started this post by asking whether all the disparate business models currently being described as lifestyle brands are, in fact, lifestyle brands. The answer? According to our above commandments, yes. It remains to be seen whether all of these different organizations can turn their lifestyle brands into profit generators, but what we can take away from the vast array of lifestyle brands is that it’s more about the lifestyle a company supports and represents than any trick of branding. What do all the lifestyle brands we’ve discussed here have in common? What can Rose Garden Hotel & Suites take away as they begin their very of-the-moment transition? It’s that to be successful, the lifestyle brand needs to feel real and honest to the individuals currently living that lifestyle. And how would a brand go about that? That part is simple: talk to your customers, and actually listen to them. The same way you provide the products or services that they want, provide the experiences they’re looking for before, during, in between, and after their purchases. What do you think? Let us know, we posted the blog post on Facebook here, and look forward to seeing you in the comments. P.S. Pour one out for that Marketing Manager at Rose Garden Hotel & Suites for fighting the good fight.